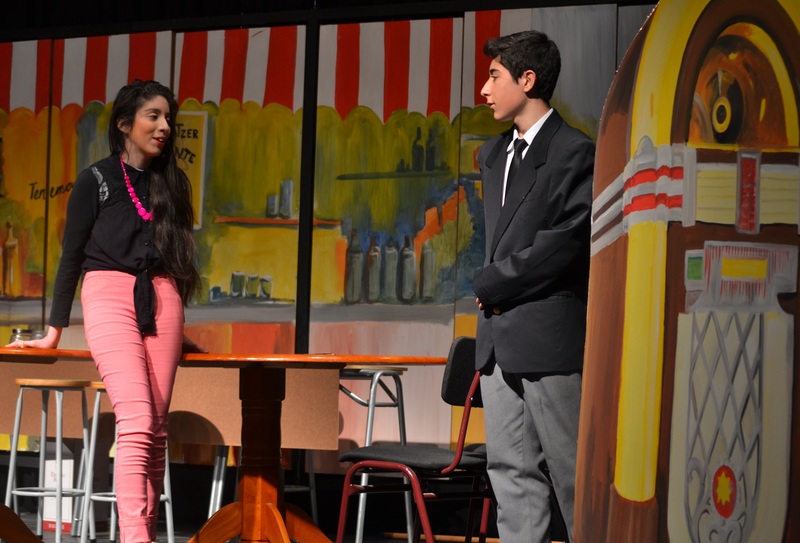 This Theater-in-Education project, sponsored by the Cámara Chilena de la Construcción, resulted in a production of the Chilean play The Wurlitzer, written by Juan Guzmán Améstica (1964), with a group of 15 students who participated in the theater workshop at the Marta Donoso Espejo High School in Talca. The Wurlitzer depicts the problems facing young people who want to escape poverty, but have no real options to study or work, so getting involved in illegal contraband becomes a lucrative option. The creative process, which I facilitated from June to September 2014, was based on exploring the reality of the 1960s in Chile as represented in the play, from fashion to vocabulary, to the music that the young people liked, as well as the socio-political problems of the era. I collaborated with the school’s theatre teacher to train the students in acting techniques, rehearse the scenes, and perform the play in a style appropriate to the context.